Car hacking seems to be the new black recently. As cars get smarter, they also become more enticing targets to hackers for both fun and profit. From wireless key fobs to Chrysler’s Jeeps to GM’s OnStar, it seems no car is safe. Not evenChevrolet’s Corvette, apparently. Researchers from the University of California San Diego proved that this particular car, and probably others like it, are also susceptible to attacks, giving hackers unmitigated control over certain functions of the car, with some particularly dangerous consequences. 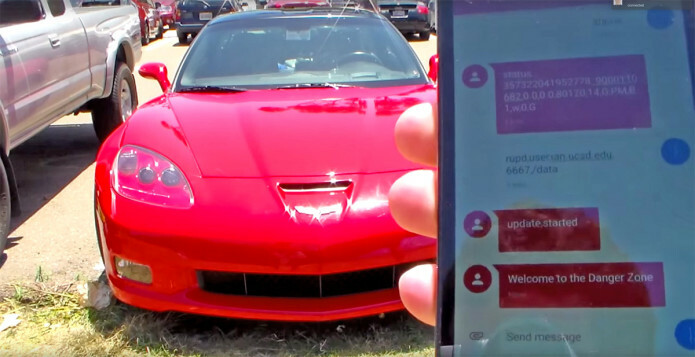 At the heart of the Corvette’s hacking is the On-board Diagnostic port or OBD-II, the most common way cars are able to get additional functionality, ranging from getting, well, car diagnostics to indirect control of certain features. Many aftermarket devices plug into the OBD-II to deliver smart-like features, but apparently, that path is open to many dangers. Researchers pried apart some of these common OBD-II dongles and discovered that many of them had severe security deficiencies. These, in turn, could give hackers access to critical car functions. Remotely controlling windshield wipers might be a nuisance at best, but being able to disable or force the car’s brakes using only a smartphone is nothing short of a nightmare. The researchers used an OBD-II dongle to implement the hack but didn’t give specifics on whether a specific dongle had to be used or if the vulnerability is common to many existing commercial products. This is just the latest in a string of research revelations that point to the horrifying reality of how vulnerable today’s cars really are. It should also serve as a wake up call to car makers to hunker down on their “smart” features before things get way out of hand.